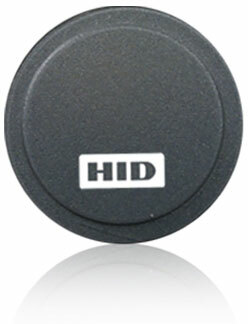 HID's FPTAG can turn your plastic ID badge into a proximity credential. Effortlessly upgrade from magstripe or barium ferrite technology, or add prox to your smart card, by simply attaching the small, circular FPTAG to your existing card. The FPTAG will also adhere to any non-metallic device, such as a cell phone or PDA, to create an instant proximity badge.